More than 80 million people watched Hillary Clinton square off with Donald Trump. 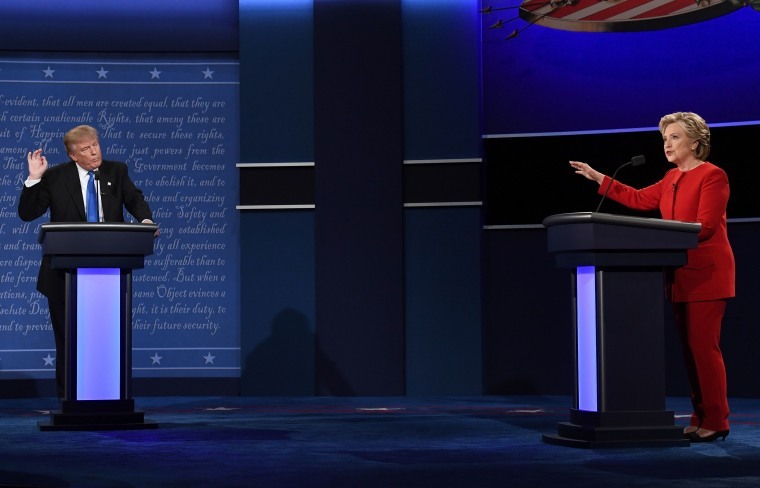 In the sixty years of televised presidential debates, Monday night's between Hillary Clinton and Donald Trump was the most watched. According to CNN more than 80 million watched. The report says Nielsen is still finishing up tallies but the average was 80.9 million viewers spread over the 12 stations that carried the debate. This means it's only counting people watching in the home. Not bars, parties, or on PBS or C-SPAN. This also doesn't include those streaming the debate over the internet on the likes of YouTube or Twitter. The actual number of viewers had to have far exceeded 80 million.